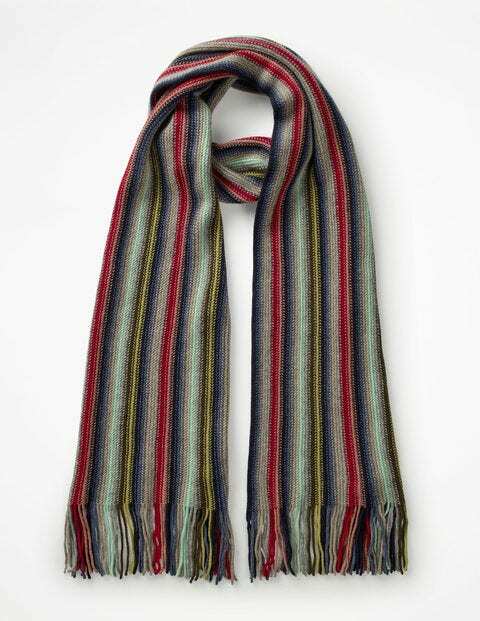 No one knows more than Highlanders about wrapping up against the chill, so we went to the experts for this luxurious, striped cashmere scarf. Johnstons of Elgin in Scotland has more than two centuries of expertise combating the elements with fine natural fibres, and here we’ve used eight colours and 72 cones of yarn to create the perfect gift. Offering plenty of versatility, it looks equally smart with a tee-and-jeans as well as tailoring, so we wouldn’t blame you if you kept it for yourself.